French designers Ronan & Erwan Bouroullec have sent us some new images of the store they recently completed in Paris for shoe brand Camper. Located next to the Centre Georges Pompidou, the store is furnished in different shades of red. More details in our previous story. Camper stores by Jaime Hayón in Tokyo, Milan, Berlin and Barcelona. 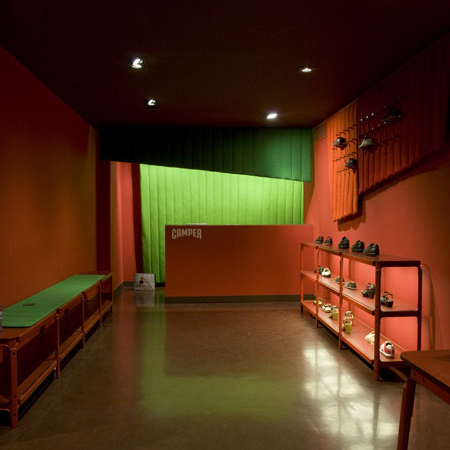 Camper stores by the Campana Brothers in London and Berlin.